Distilled from wood pieces of the Cedar Wood tree, cedarwood oil is mainly used in treating dandruff. It also has anti-fungal properties that protects your scalp from fungal infections which disrupts hair growth and causes your hair to fall out. Its anti-inflammatory properties on the other hand, can soothe and calm dry and irritated scalp. Often, hair loss might be caused by weak hair follicles. Cedarwood oil helps to stimulate blood circulation in the scalp which then can promote hair growth. To use it, you can either add the oil to your shampoo or just massage it directly onto your scalp and let it sit for half an hour before rinsing it out. The first moment of recognition you’d have had for chamomile is probably through the tea. 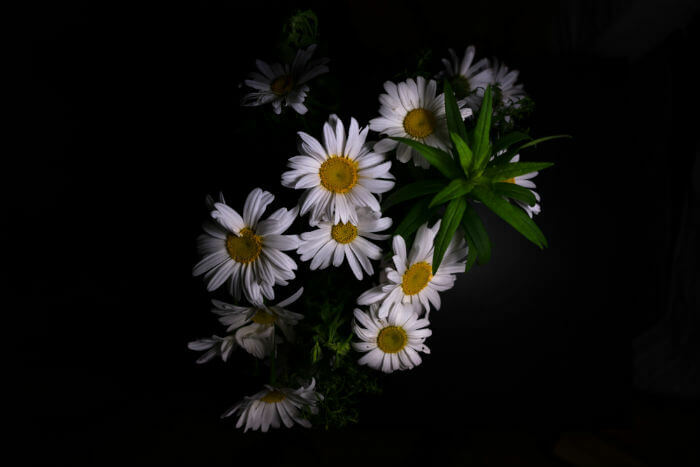 However, this flower from the daisy family is more than just an addition to your favorite drink. 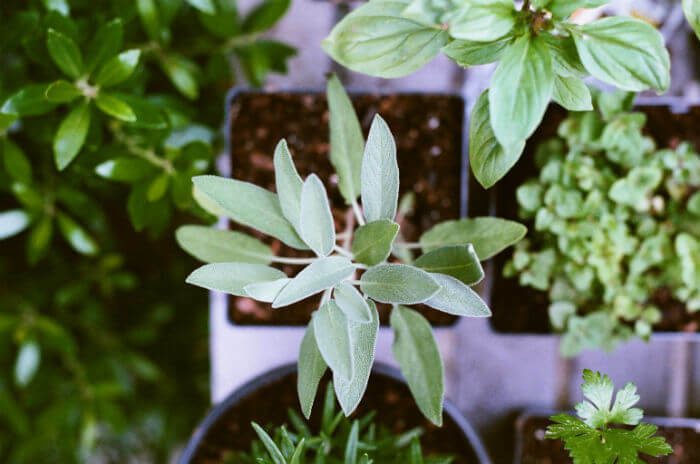 It is known for its anti-inflammatory, anti-septic, and anti-itching properties on skin conditions such as dry scaly scalp, dandruff, and eczema. There are two types of chamomile, the Roman Chamomile and the German Chamomile. The latter is a very powerful anti-inflammatory agent. In addition to the health benefits, chamomile oil can give dark hair a nice shine. It also improves the softness and luster of your hair. 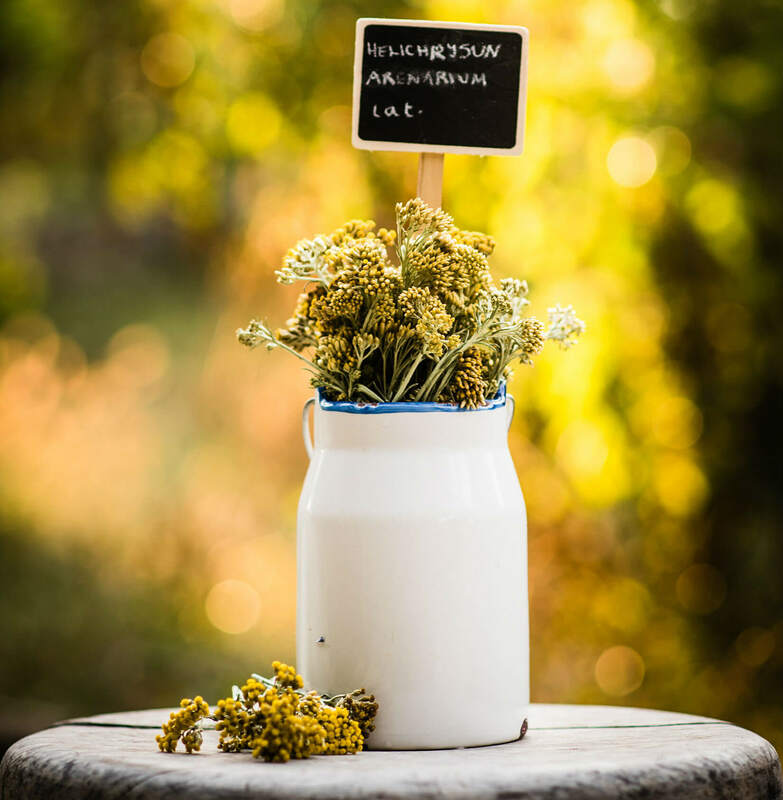 Native to the Mediterranean, helichrysum has been used for its medicinal properties in the region for thousands of years. The oil is regenerative to all tissues of the body, including scalp tissue, and also helps improve blood circulation to the scalp. Better circulation naturally promotes better flow of blood and nutrients to the hair follicles, thereby promoting better growth rates. Helichrysum is also effective in cooling and soothing various skin irritations caused by bacteria and fungus growth. Although not as popular as other essential oils, this oil is quickly gaining recognition. Particular advantage of helichrysum oil is that unlike other essential oils, this one has a very long shelf life. Rosemary is probably one of the most popular essential oils out there for enhancing hair growth, especially for thinning hair. Even the ancient Egyptians used them by combining it with other oils. Its antioxidant properties is said to slow greying hair. 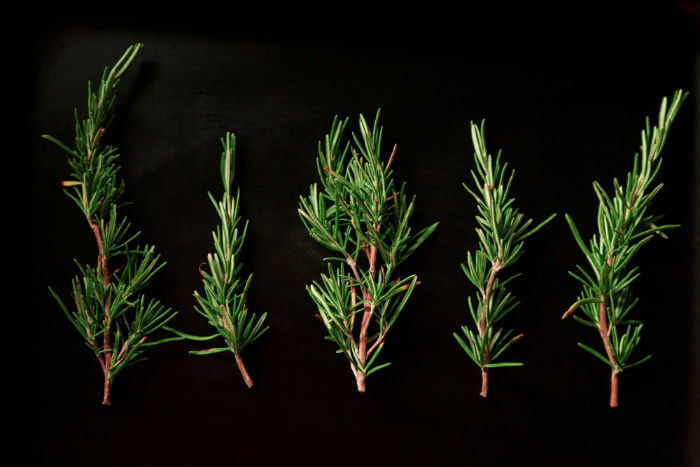 Rosemary also stimulates blood flow to the scalp and cellular metabolism, thereby promoting health and strong hair growth. Due to its anti-fungal and anti-septic properties, it can be a good choice for treating dandruff as well as improving your hair’s luster. You can mix a couple of drops of rosemary oil with sweet almond oil when applying to your scalp. Thyme, which is a plant from the mint family, is one of the best essential oil for hair that contains antiseptic properties. It is effective in warding off germs, fungi, and bacteria that can accumulate on your scalp and clog up hair follicles. By clearing up blocked pores, it helps to promote new hair growth. While there are many types of thymes, white thyme is recommended as safer and ideal for thinning hair. A few drops of thyme essential oil can be mixed with any type of carrier oil (ex. Grapeseed oil) and massaged directly onto the hair. Let it sit for about half an hour before rinsing off. There are hundreds of different types of essential oils available out there, each with their own specific set of medicinal properties. These are, specifically, some of the best essential oils for hair growth and promoting hair health. We know that one remedy doesn’t work for everyone, so hopefully this list will help you find what works best for you. Try these natural methods as an alternative to chemically synthesized hair products to get the healthy, gorgeous locks you desire.